More than 1,000 palm oil workers on strike outside San Alberto, Colombia are seeking recognition as employees. As subcontracted workers, they have no rights under Colombia’s labor laws, including freedom of association and the right to negotiate working conditions. 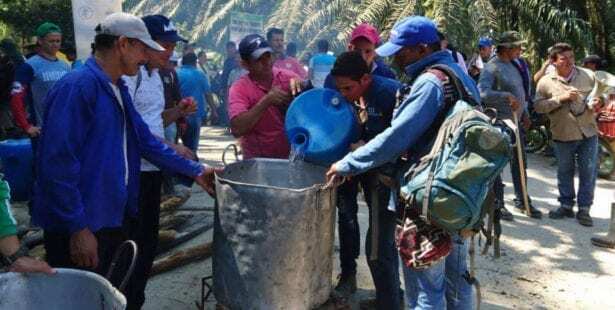 The workers walked off the Indupalma plantation on Thursday, after 668 out of 682 palm oil workers cast their ballots for a strike in a vote observed by the regional director of the Colombia Ministry of Labor. Unlike workers who are recognized as employees, subcontracted palm oil workers must purchase their own tools, as well as join and pay dues to phony “cooperatives”—structures that enable companies to evade legal responsibilities under the labor law. Last year, the palm oil workers formed the General Union of Third-Party Agribusiness Workers (UGTTA), and despite the region’s history of threats and violence against workers who form unions, the union has grown from 248 to some 1,010 members. The union reports four members have received death threats in 2018. The Solidarity Center accompanied labor leaders, including Andrey Piñeres (video, below) who was laid off from the palm oil plantation after he became active with the union, to a meeting yesterday in Bogota with Colombia’s vice minister of Labor Relations to update her on the situation. “The union met and voted unanimously to go on strike because of the company’s “refusal to negotiate direct contracting for more than 1,200 workers,” he says, calling on unions and civil society organizations to support their struggle. 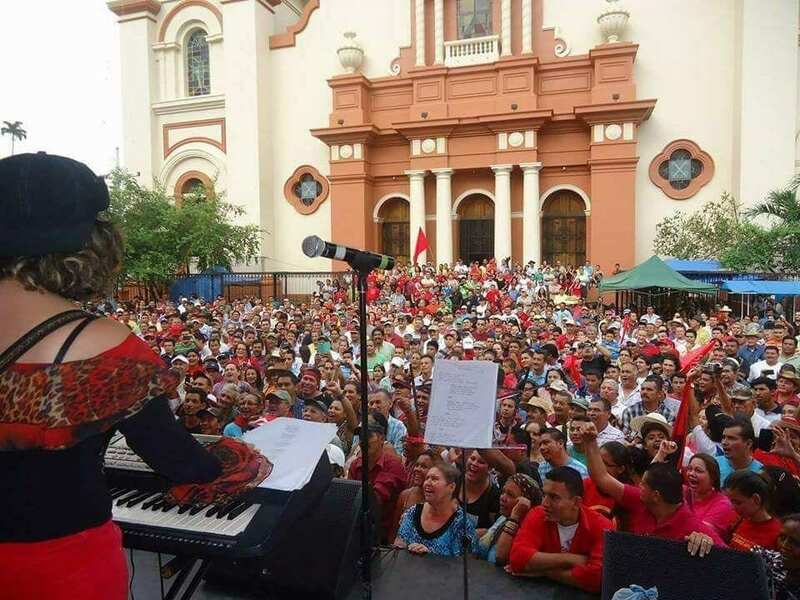 The union says it is encouraged that the San Alberto Mayor assured them that if they do not block roads, he will not call in the riot police force, which has a history of violent repression of worker protests. In 2016 the Colombian government fined the company more than $1 million for unlawful subcontracting and its use of 23 “cooperatives” to undermine workers’ rights. The company is appealing the ruling. The AFL-CIO and five Colombian labor organizations raised the issue of abusive subcontracting in a May 2016 trade submission under the U.S.-Colombia Trade Promotion Agreement (CTPA). Even though the Colombian government has outlawed cooperatives for subcontracting of full-time workers who perform the same function as employees, the practice continues to occur within the palm oil industry and in other sectors.